I’ve been in China for over five years and my Chinese is still only at a conversational level. I’m nowhere near fluent. So since I’m not a natural language learner, I need to spend a little time each day either attempting to improve my language skills or just trying to prevent losing them. I’ve been using nciku for about a year or so now. I find their site to have such a confusing layout that for the most part it’s completely unusable to me. For looking up vocabulary words though, it’s my #1 destination. The ability to input English, pinyin, or hanzi is incredibly useful, so decided to check out their iPhone Chinese-English dictionary application. So I have to ask, who is making these classifications? Is it self-imposed by nciku or just a general disclaimer put on to every dictionary by Apple? Other English-only dictionaries in the iTunes store don’t have a rating or are rated at ages 9 or above. Since I don’t know the full story, I wont say this is political-correctness or legal protection gone awry. I’m just going to leave it as the quirky item it seems to be and be glad that I’m old enough to increase my vocabulary with my iPhone. Watch your kids folks, Merriam-Webster might soon get classified as a gateway drug. 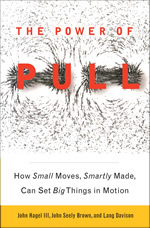 I purchased the Kindle version of The Power of Pull after hearing one of the authors speak on a recent podcast. He seemed fairly interesting and with the number of people recommending his book, I thought there must be something to it. The basic idea is that the world where corporations attempt to forecast consumer needs and attempt to “push” things upon them is rapidly giving way to the “pull” of collaboration. So if you’re sitting there thinking, that’s obvious, then you’d be right and can probably save yourself the purchase price. If you’ve worked in modern corporation or even find yourself in this millenium’s group of entrepreneurs, then the basic points in this book will just come across as common sense instead of as revolutionary ideas. However, common sense is hard to explain at times, so in this regard the authors succeed in connecting some of these obvious ideas together. 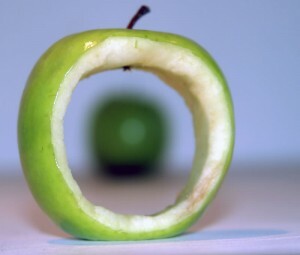 Malcolm Gladwell has made a reputation from doing the exact same thing, but this group lacks his ability to make clear and concise conclusions. To make up for this, the writing takes on more of a “manifesto” style, wherein they attempt to rally the reader around their ideas, rather than providing a strong foundation for any of them. Other than the initial “Maui surfers” story, they also miss Gladwell’s ability to bring out vivid (and interesting) examples to support their theories. From the clarity of the surfers’ story onwards, most of the examples aren’t as strong or striking. Which is odd, considering how often the examples are used throughout the text. But then again, this excessive re-use of the sample examples causes a lot of redundancy in the text, making the book a lot longer than necessary. In the end, you walk away feeling as though some of the examples are just of people that happen to impress the authors, not of the life-changing movement they claim is coming. It’s as if the authors are just providing their interpretation of the world, rather than a usable construct. This causes the text to get extremely long-winded at times, without saying anything new. Worse, it does not provide any actionable framework, set of guiding principles, or even a few good rules of thumb to take. At most, it might provide a temporary motivation to change the world, but doesn’t leave you with anything tangible to do it with. In this regard, maybe my expectations were not set correctly. Either that, or the authors are actually attempting a sale of their services. And so this is where it fails for the corporate level. Many corporations are already geared towards the ideas set in the book, so the author doesn’t bring any new value. Their condemnation of forecasting is one example where they criticize, but don’t guide their corporate readers towards alternatives. They also encourage use of the 80/20 rule, but then state the need for the business core to continually reach out for the edges, but once again proper guidance on how to do this. If they had at least been able to find one large company who had implemented “their” ideas, maybe the overall case of this book would have made more sense. So while the overall ideas in the book seem sound, the lack of clear examples and wordiness tend to drag it down. I don’t disagree with the big picture points in this book, but I also feel they don’t add much to the sphere of knowledge. Ten years ago, this would have been a great primer, but now, most of the ideas presented are fairly second nature for most. The links that grabbed my attention this week. 40 Elegant, Minimal And Clean WordPress Themes For Free Download: I’m still learning about WordPress capabilities and how to make this site better, so it’s easy to get distracted by some “minimalist” eye-candy. 5 Things to Consider When Designing Your Mobile App: Just thinking about something of my own, so this makes good food for thought. Cow Clicker, The Making of Obsession: Sometimes, you just have to create the thing you hate in order to explain it. Great little piece about how one person’s distaste with some aspects of social gaming ended up with him creating his own satirical version of one. 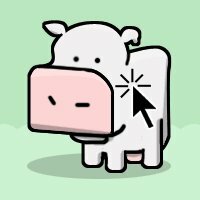 You will click the cow and like it. An 8 Segment Model to Analyze Smartphone Market, Consumers and Handsets: This is a hard one for me. The word-barrage almost bullies you into belief, but I walk away from this feeling unsatisfied. It has a euro-centric view of the world (IMHO) that turns off my Sino-US experience. There are some good nuggets in there though, but the math just seems suspect and some of his qualitative positions seem suspect to me. I would definitely love to hear other thoughts on this. CNET is reporting on a study from Secunia on the number of security vulnerabilities found across major software vendors. This time around, it looks like Apple takes the #1 slot. I have not read the report personally, but was still a little shocked. CNET did point out that there was no indication given on the severity of the vulnerabilities, so I’m taking this with a grain of salt. It could however be a signal of things to come. With Apple products seemingly ubiquitous nowadays, it seems only a matter of time before someone damages Apple’s security mystique.